June 3rd in Magazine Themes, WordPress Themes by Wordpress Jedi . Plenty of folks are passionate about the latest gadgets and technologies. There are already many well-established tech sites around, but you could always build your own tech magazine to share your unique opinions with the world. Techwise for WordPress is a commercial theme that lets you build a killer tech review site. 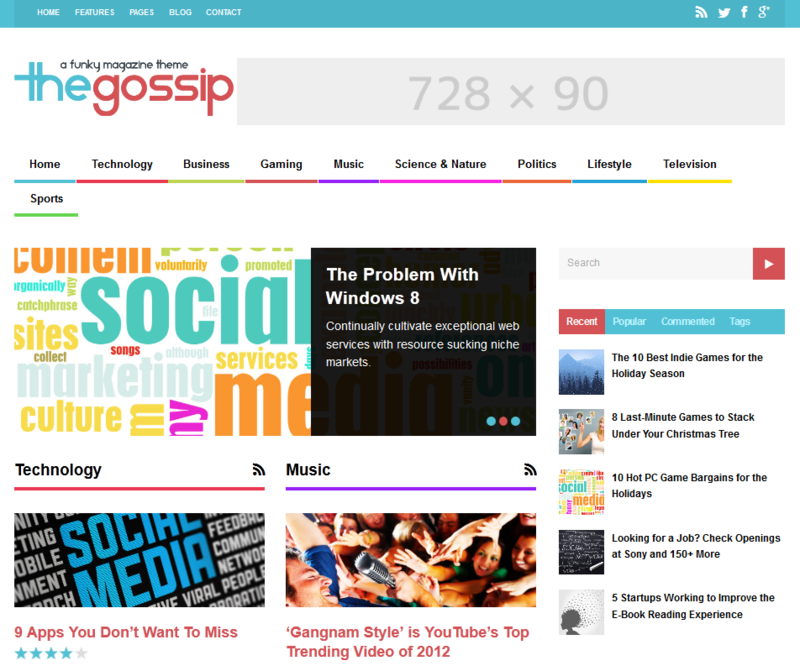 It is a drag & drop magazine theme with minisites, a comparison system, a mega-menu system, and other sophisticated features for tech sites. November 16th in Magazine Themes, Responsive Themes by Wordpress Jedi . Plenty of folks have started their own blogs and magazine sites using WordPress. You don’t need to spend a fortune to go live but may have to spend a lot of time to create killer content to set your site apart from your competitors. You should also adopt a theme that allows you to showcase your top content like a pro. 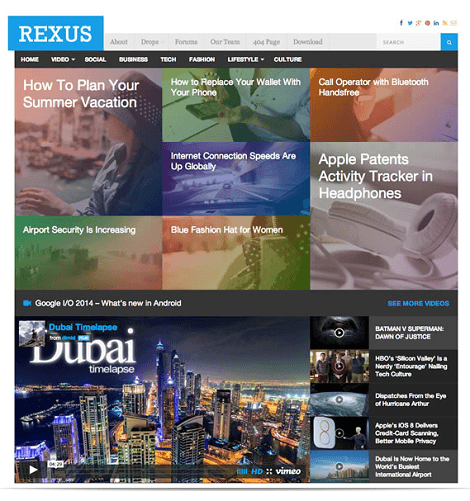 Rexus might help your cause. 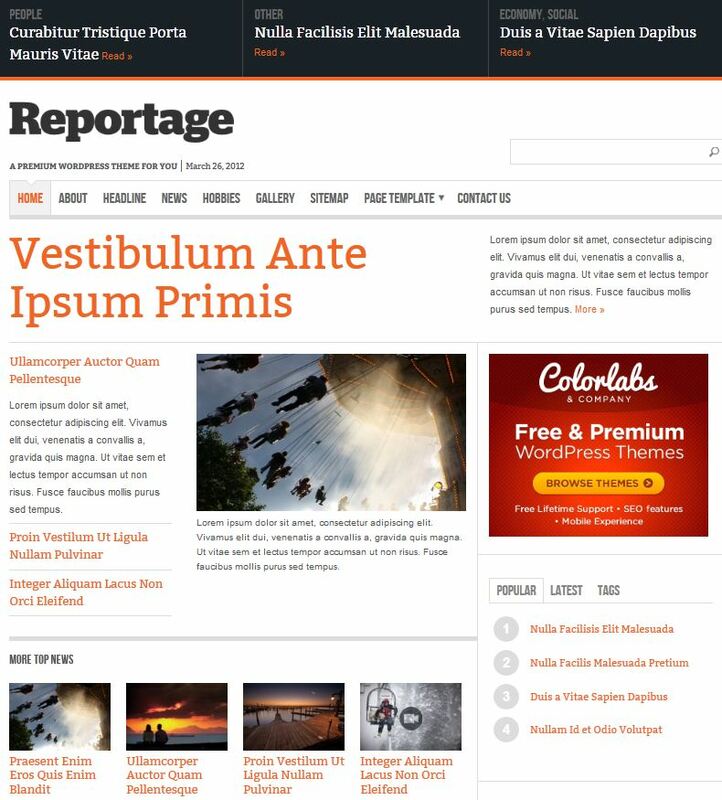 It is a good looking and responsive theme for WordPress magazines. 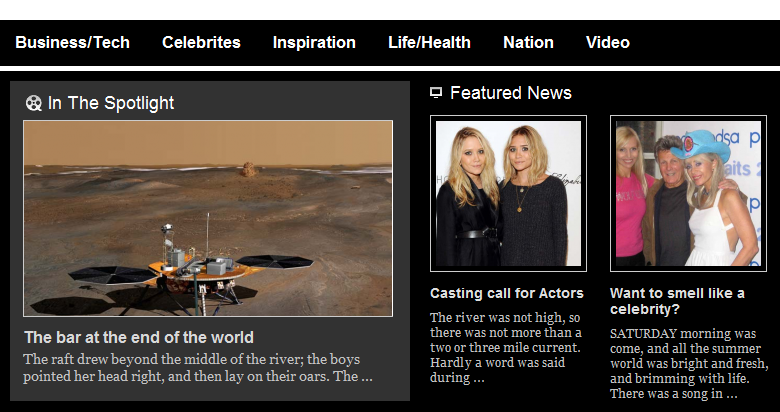 June 23rd in Magazine Themes, Premium Themes by Wordpress Jedi . WordPress is a great platform to start a blog with. But that’s not all you can do with it. There are plenty of online magazine portals that take advantage of this technology to manage their content and provide a dynamic experience to their visitors. Starting a magazine is much different than creating a blog with WordPress. Magazines often have lots of media files to deal with and need to be more dynamic than your everyday blog. You are going to need a dynamic WordPress theme to start a magazine site that people want to use. That’s where Hello Theme comes into play. It’s a dynamic, professional-looking theme that lets WordPress users get their magazine sites up and running in a flash. Hello Theme comes with 6 different color schemes. That means you can make minor changes to the look and feel of your website without having to write a single line of code. For major changes, you can always hire a developer (though that could be pricey). This theme is designed to handle images and videos well. It auto resizes your thumbnails and makes your life much easier. Adding videos to your website could not be any easier either. May 24th in Magazine Themes, Premium Themes by Wordpress Jedi . WordPress may be used by tons of bloggers around the globe, but it’s capable of handling much more than that. In fact, more businesses and online magazines are finally figure out how powerful WordPress is and are making the switch to this versatile platform. Thanks to theme such as Iridium, portal developers can have an easier time starting their portals and managing their content online. 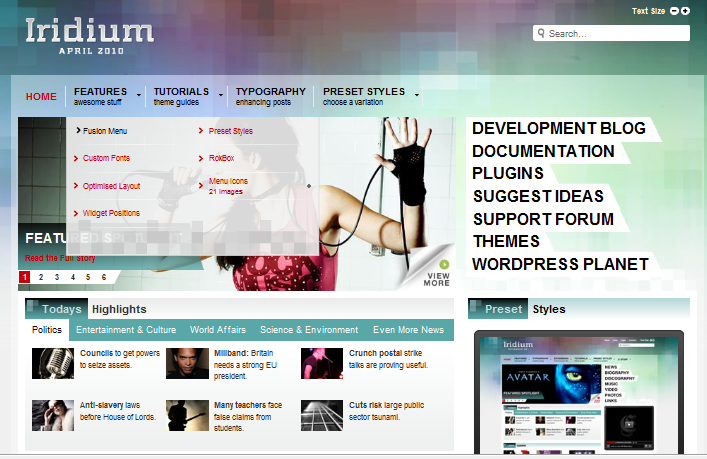 Iridium for WordPress is not your average theme. It’s very dynamic and flashy to address the needs of an online magazine or any media heavy website. It’s designed to handle content. Lots of it.